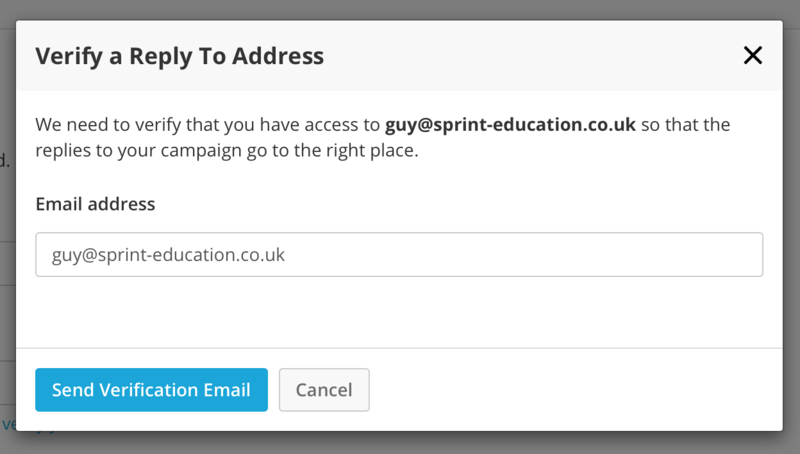 When you are setting up your Sending Profile you are able to specify what your Reply To Address is – meaning if a recipient clicks Reply in their email client this address will get the response. You aren't able to just add any old email address in here. You need to prove to Campus that you are in control of it. 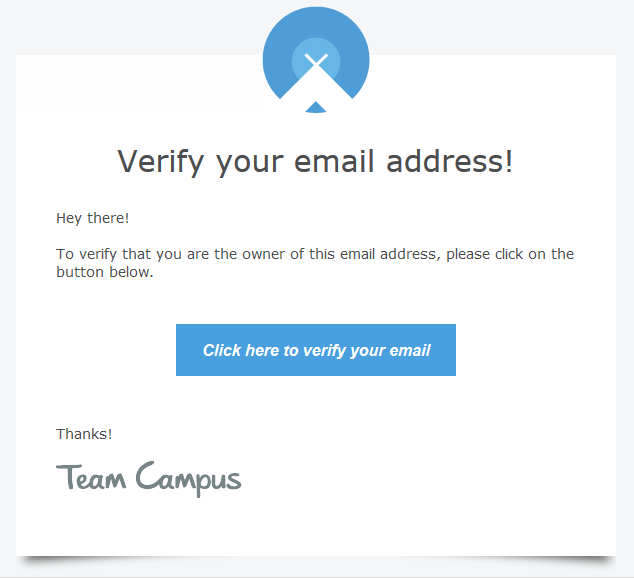 So, if you enter a Reply To Address that is not already verified, Campus will show you the Verify your email now button. Click on the button and a Verify a Reply To Address window will pop up. You can then click on the Send Verification Email button. Campus will now send a verification email to that email address. All you need to do now is click on the link in the email; your email address will be verified and you can now go ahead and use it as a Reply To address.